Roswell, GA, September 25, 2018 --(PR.com)-- Raymond F.H. 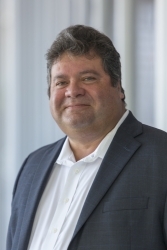 Bustamante, executive vice president at Berkley Construction Professional, a division of Berkley Alliance Managers, a Berkley Company, will offer his perspective on best-in-class professional liability risk profiles at the IRMI Construction Risk Conference to be held from November 4 – 7, 2018 at the Marquis Marriott in Houston, Texas. During the Tuesday, November 6 presentation titled Benchmark Yourself, Mr. Bustamante will highlight the risks inherent within many of today’s project delivery methods and the strategic value of the latest Contractor’s Professional Liability (CPrL) coverage types. This includes obtaining the most competitive terms through a comparison of best-in-class contractors and exploring the steps necessary for building stable business models, while successfully managing risk through every project phase. Raymond F.H. Bustamante has more than 20 years of experience underwriting design and construction professional liability insurance. He is credited with creating many of the owners and contractor’s protective insurance coverages currently recognized industrywide as the preferred approaches to underwriting project specific design and contractor’s professional liability. Berkley Construction Professional specializes in construction professional liability and pollution insurance for construction-related industry exposures. Berkley Construction Professional is a division of Berkley Alliance Managers which is a member company of Berkley, whose rated insurance company members are assigned A+ (Superior) ratings by A.M. Best Company and A+ (Strong) ratings by S&P. For more information please visit www.berkleycp.com.